While working on dayside election coverage in Philly today, I happened upon a moment in time. 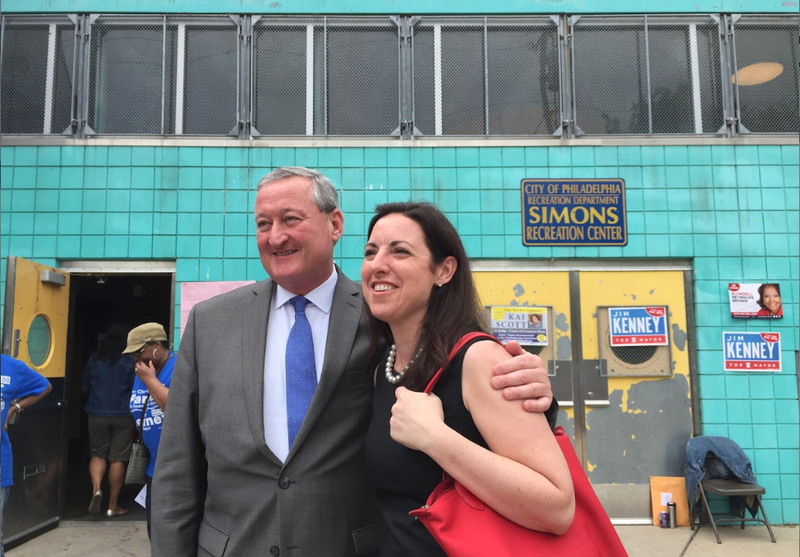 That being Jim Kenney (who is projected to win the Democratic mayoral primary) crossing paths with Melissa Murray Bailey, the unopposed Republican candidate, outside a polling place in West Oak Lane. Here it is, for the public record. If things go as projected, we’ll be seeing much of these two in the same place between now and November. And even though they’ve been at mayoral forums together in recent months, I’m pretty sure this is the lone photo of them together on May 19. And if you’re looking for election coverage in Philly today, do check out NewsWorks‘.